Oops, I guess I forgot to post here that I was going to be a the Powderhorn Art Fair! I did mention it a couple times, so I’m sure none of you were caught off guard. The fair was amazing: great weather, lots of people, great artists. It was really fun and I look forward to doing it again next year. I took a little bit of a break after the Fair was over. I had been sewing like a maniac for weeks in advance and it sure felt nice to not sew for a couple days. But of course it didn’t take more than that for me to feel the call of the fabric. First I realized I needed to make more sheep cozies because they are flying like hotcakes! They sell almost as fast as I make them. I’ve got five made up right now, and they’ll be at the Farmers Market this weekend. Second, I was thinking about our local coffee cafe and the art installations they always have on the walls. I’ve thought a few times about whether I could do something there, but they usually have photography or paintings or other paper-based art. A couple weeks ago a show went up of fabric art and it looks pretty good. I felt inspired! And I’ve got plenty of time to create things because they have a waiting list till 2013 for showing on the walls there! 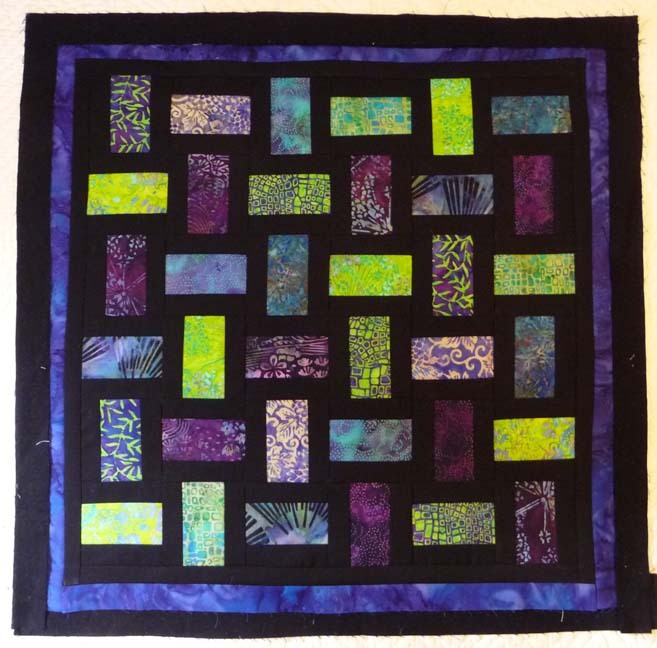 I’ve really enjoyed the two “stained glass” quilts I made last year so I decided to make a different one, all with bright batik fabrics. I really, really like the way it has turned out so far! The day before the Art Fair I finished this next quilt. I started this months ago with leftover bits from a similar quilt I made last year. I like the way this one turned out too. Come find me at the Midtown Farmers Market this Saturday (August 20) and see what all I’ve got! 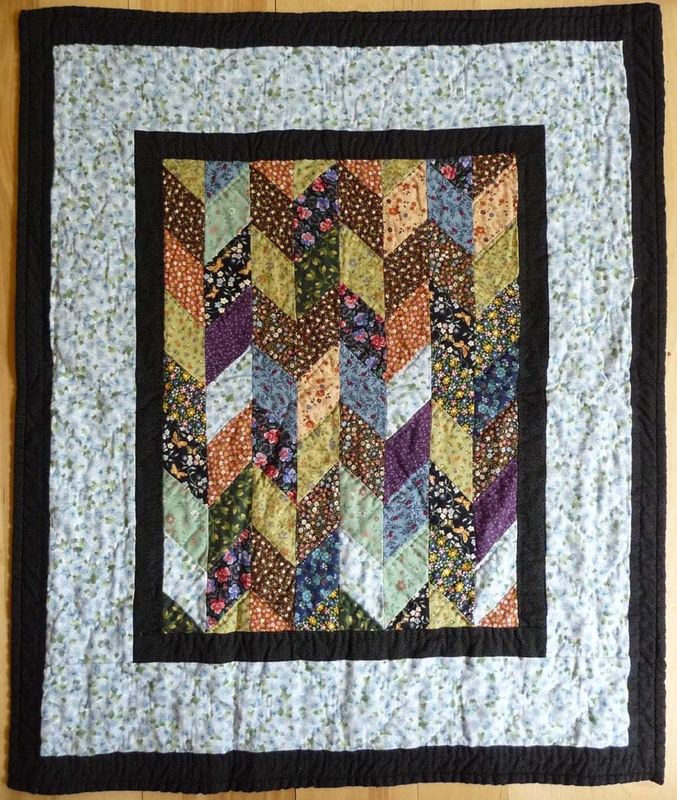 This entry was posted in Events, Quilts by From the Homestead. Bookmark the permalink.